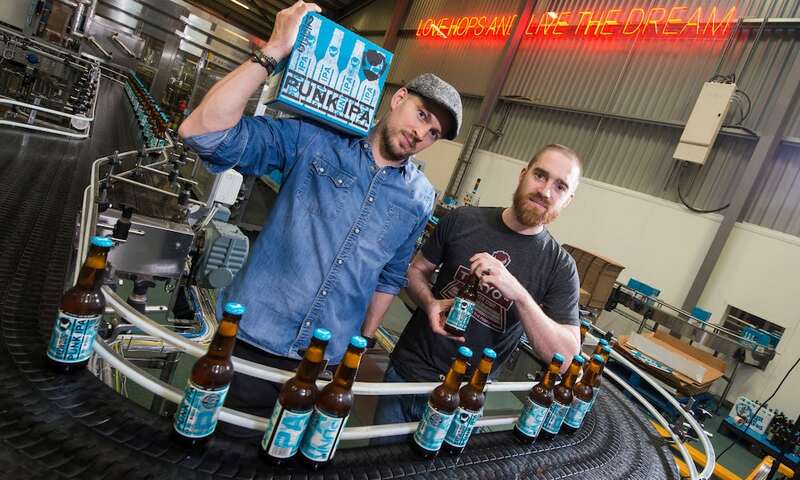 BrewDog’s 60,000 “Equity Punk” investors enjoy lifetime discounts and free brews on their birthday as part of the craft beer company’s crowdfunded money-raising scheme. But while BrewDog’s beer may flow freely, the market for its shares is less fluid. Its latest fundraising effort, launched this week, aims to raise £10-50m to fund expansion in four continents. But Equity Punks who do sign up may only sell during annual windows decided by the company and founder-boss, James Watt, the largest shareholder with a 25% stake. That means that while those who invested in the first of BrewDog’s five crowdfunding rounds may be sitting on a paper return of 2,765% – and some have happily cashed out – such a rise has yet to be tested under normal market conditions. Watt, ensconced in a booth at BrewDog Shoreditch in east London, part of his 50-strong bar network, admits that the next share-trading window, due in 2018, will provide a stern test of the company’s true value. In the last trading window, hosted on the trading platform Asset Match, the firm protected its share price by dipping into the market, buying shares to plough into a staff equity reward scheme, known as Hop Stock. Watt is adamant such a price tag is not overblown, despite BrewDog reporting just £7m in underlying profit last year. “Some people would look at Fever-Tree [the tonic water brand valued on the stock market at £2.5bn] and say our valuation should be compared to a fast-growing drinks company,” he says. Buyers, emboldened perhaps by the TSG investment, are still pestering Watt with sizeable takeover offers. The last, he says, came in just two weeks ago, but was rejected out of hand. Like Fever-Tree, one route to crystallising BrewDog’s value is a stock market listing. Watt insists the company could only go public if it can protect its sacred cows, such as its 20% profit giveaway, with half shared among staff and half going to charity. Another option under consideration is an Initial Coin Offering (ICO), in which firms raise funds via cryptocurrencies, such as bitcoin. Would Watt, rarely if ever seen in a suit, still need to hobnob in the City of London and schmooze industry analysts? Possibly not. “Why don’t you just not bother messing about in the City and just post a video on your website every month with full financials and the analysts can do with that what they want?” he says. 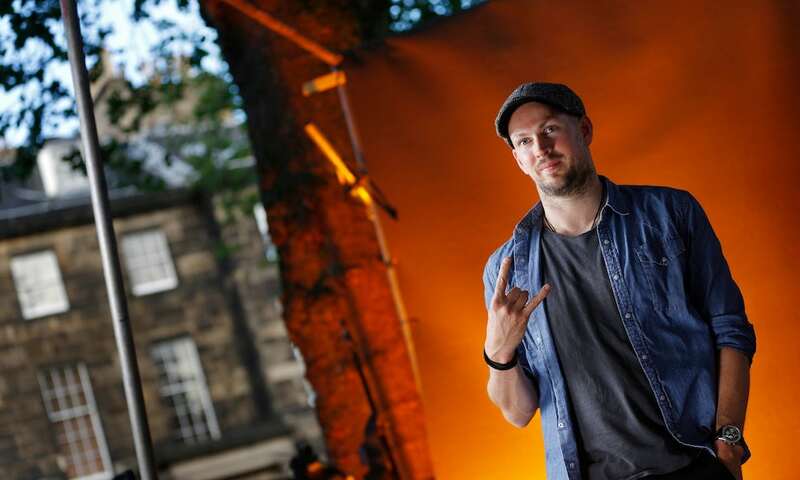 Whatever format BrewDog plumps for, Watt talks the kind of game that investors like to hear – growth – and he has the numbers to back up his confidence. From a standing start in 2007, a two-man band of Watt and co-founder Martin Dickie have built the UK’s biggest craft brewery. Last year, 645 employees helped it produce 214,000 hectolitres of beer (nearly 38m pints), racking up sales of £71m in the UK and 50 export markets. The Ellon, Aberdeenshire, company has already established a beachhead in the US by opening a brewery in Columbus, Ohio, where it is also building a hotel. But the broadest horizons may lie to the east. Watt gets visibly excited when talking about the market potential of China. .
Watt’s sometimes confrontational manner came to the fore earlier this year, when BrewDog’s “punk” ethos was called into question due to its pursuit of two bars for trademark infringement. This was a “growing pain”, says Watt, caused by the tension between the company’s stated principles and its burgeoning size. “We deserved to take some flak, maybe not quite that much. But I was disappointed with how we handled it and lessons have been learned. Watt remains as abrasive as ever when it comes to “Big Beer”, particularly in the light of recent deals in which multinational firms have bought out rival craft ale brewers. But Watt does not believe that BrewDog’s own identity will be similarly compromised by the investment from private equity group TSG Consumer Partners, headquartered in San Francisco, which bought its BrewDog stake through TSV AIV, a vehicle registered in the Cayman Islands. • This article was amended on 25 October 2017 to clarify that TSG Consumer Partners is headquartered in San Francisco.